Grab our checklist for your client onboarding process. Client onboarding can be fun and stressful at the same time. You ever hear someone say, “it’s both a blessing and a curse”? When you provide a service, either physical (like a marketing agency) or software (like a SaaS) it can be like that. Finding new clients is the fuel that drives growth in any company, but for those who use recurring revenue models—You have to keep on selling your product every month. 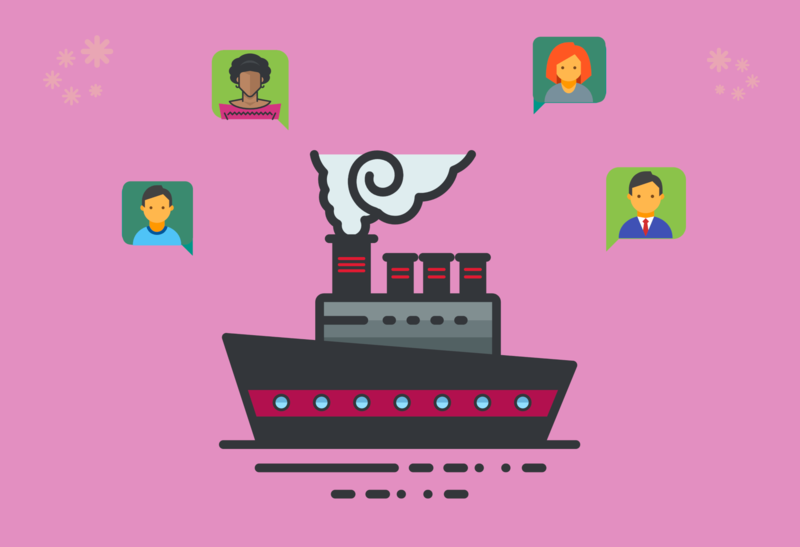 The missing link in many a service company is client onboarding. All businesses are looking to grow revenue. The only thing is, growth is dependent on both new client acquisition and current client retention. That’s where the “curse” comes in. Instead of just finding new business, you have to ensure that your customers remain satisfied. 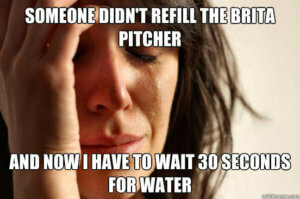 It’s not really a curse and probably falls closer to the “first-world problem” category, but you get the point. Detail the client onboarding process with some actionable practices. Give you access to a customizable client onboarding checklist we’ve created. Client Onboarding: A process of adapting customers to your product or services that begins after a new user purchases a product and usually continues until the user is comfortable and adept at its use, and/or is satisfied with the results. This process could continue until the user becomes a brand advocate. There are a lot of moving pieces to the post-sale process. Once a new customer says “yes”, the work of getting them to their initial success begins. The faster you can get your clients comfortable with what you sold them, the better. If you fail at creating the environment where you initially sold leads, they’ll leave. 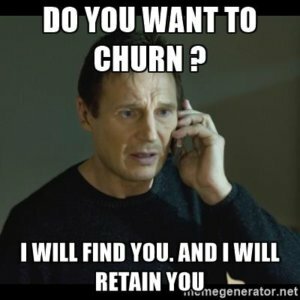 The percentage of your customers that leave a recurring revenue model each month and year is called…Churn. It’s a four-letter word to anyone who relies on MRR for growth. But a company that gently handles and ensures the success of its clients will get a better result than just losing fewer users. It could coerce your current customers into telling others about your product and become lead generators (aka brand advocates), thus bringing the cycle full circle from new client, to happy client, to referral client. Repeat after me: Acquiring a new customer isn’t the finish line. Too many companies end their funnel right after acquisition. This isn’t a good idea even if you didn’t have a monthly payment rolling in. To stop nurturing post-sale is to never reach the potential customer lifetime value (CLV). Keep the pipeline rolling, but don’t just send an email here and there. Be strategic about it. For SaaS products, there will be a metric that ensures your users are going to stick around a while. It’s likely the main value that drives sign ups. If your clients can successfully see the benefit of your product quickly enough—they’re yours for good (or a long time). For us, it’s quality leads generated automatically. If we can get our clients a certain number of responses with minimal work, it’s likely they’ll continue service. Customer Effort: How hard it is to maneuver around your process/site. Retention Costs: What exactly are you spending to keep folks around? Is it worth it? Adoption Rate: How quickly are your customers taking advantage of new features and updates? 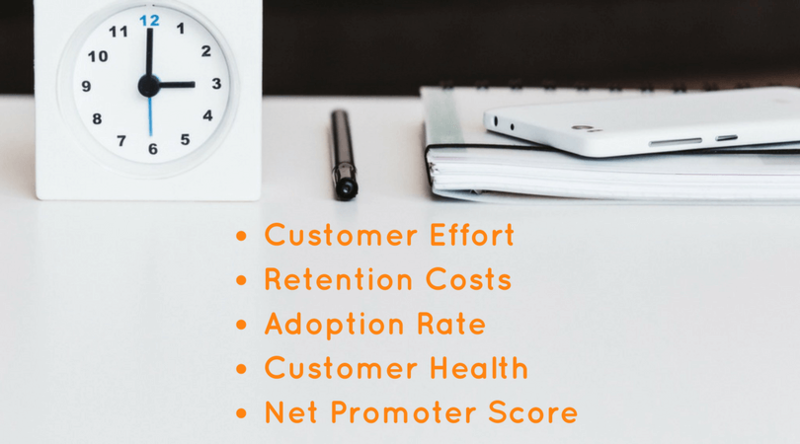 Customer Health: Kind of like lead scoring, but gauges your customers’ health to help reduce churn. Net Promoter Score: Essentially, this number breaks down how likely your customers will spread the news about you. Further Reading: Here’s a great piece from Forbes about the important customer success metrics. Now that you know what to track, it’s time to start communicating with your new customers. Here are a few of the broad things that you’re going to need to get/provide. You may know a lot about your lead, but they’re just getting to know you. Getting them from timid trial user to their “Aha!” moment will take two steps—mapping and communication. Aha! is just a clever way of saying that your new clients “get” the main purpose and function of your product. Like us, it doesn’t do our new users any good to understand that LF gets them more leads until they see new leads automatically generated and warm contacts reaching out to them. Ours is a high-touch (more on that further down) process that takes some setup. But we actively coach our users on cold email outreach and help them get everything they need into place and then, when leads start a conversation without them doing the work—they have an Aha! Most of your company’s checklist will come from the specific things you want your customers to accomplish once they’re “in”. This is why it’s important to understand the numbers that foster brand loyalty. 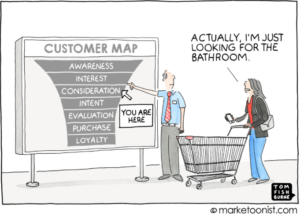 You likely already know a bit about the sales funnel steps (e.g. awareness, consideration, etc.). Proper client onboarding is a matter of extending those sales processes and touch points until your users reach the ideal level of success with your product or services. The best way to get your eyes around the customer journey is by using Trello. It’s like a mind-mapping, communication, and collaboration tool on steroids. We use it to organize our content and promotional efforts. You can use it to get the entire team around all of the content and interactions that each of your baby customers should have when first using your product. Giving credit where it’s due: This is the amazing post by SixteenVentures about mapping using Trello. Your map is best fulfilled in two primary ways (either one or both of them). Drip Content: Emailing your new users is a critical part of the process. SaaS companies that don’t do phone sales, will use email to continue to the digital conversation you’ve already been having. Use infographics, blogs, and even video to explain everything you can. Personal Contact: If you are selling a marketing process or a high-priced SaaS product, your new clients will appreciate a phone call to field questions and follow up with their initial use of the product. How Much Content/Communication Should We Use? Once you know exactly what your customer desires when it comes to using your product, you’re not out of the woods yet. To ensure the success of your users and clients, it takes a high-touch communication strategy. Sounds dirty, but it just means you’re talking more often to your newer customers (at least until they hit the Aha!). If you have a post-sale process, but your churn or lifetime value still isn’t where it should be—it’s likely that you need to say more or communicate more clearly. Content and conversations will slow down after the point users are more comfortable with your product. But you will never stop trying to sell your current customers. Pro Tip: Coming up with your map is a team effort, but there should be a single person (something like a post-sale champion) to ensure that new customers are getting along the way they should. That initial customer success will likely dramatically reduce a high-churn in a SaaS product and increase the lifetime value. But the level to which you want to take your post-sale client onboarding process is farther than that. Example: You will always add new features to your service or make the current ones better. Your products are never “finished”. They’ll get better and change all the time. Communication is the same way. This means that if you keep the train rolling in terms of your product creation/improvement, your customer service has to be just as fluid. Each time you update, or introduce a new feature—your current client base needs to be sold and instructed. You can also entice those who’ve recently had that successful Aha! moment to refer their colleagues and friends to your product. This is best accomplished around the 30-day mark, right after your user is really benefitting from your product. Don’t just send a “newsletter” every week or month. Really check in on them at regular and scheduled intervals (hence the word “process”), see how they’re doing, and let them know about what’s going on and what’s coming down the pipe. To make it work for you, you want it to make sense. What new client onboarding process strategies do you recommend? Share in the comments below!